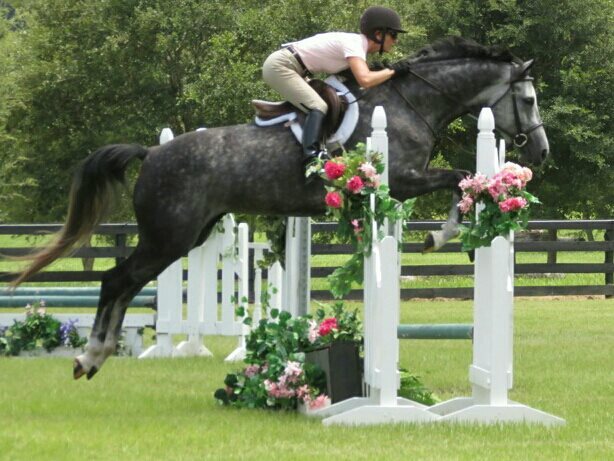 Post by Colleen Rutledge Eventing. Owned and competed by Catherine Cooper. 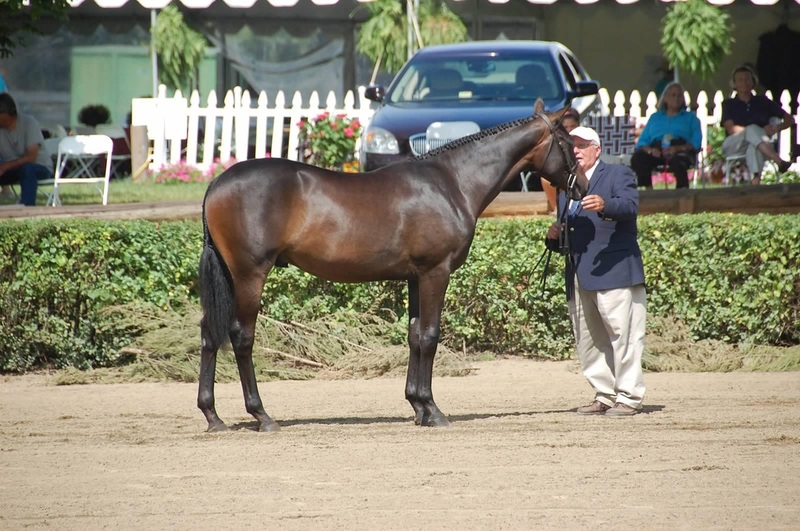 *2013 USEF Hunter Breeding Yearling Horse of The Year! 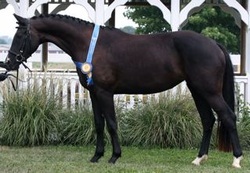 Resplendent (which means shining brightly) not only collected the top title in the country but also won the United States Hunter Jumper Zone 3 Hunter Breeding Yearling Championship, the American Performance 0-3 year Old Championship and the Pennsylvania Horse Show Association Hunter Breeding Yearling Championship. Handled throughout the season by Emily Ann Belin of Magic Hill Farm in PA the special yearling dominated the competition. 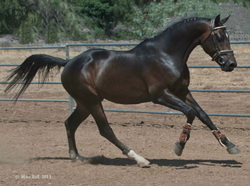 Awarded Premium status as a foal at her German Oldenburg inspection, Amanda felt that “the sky was the limit” with Resplendent, which proved true when she won the triple crown of the Hunter breeding show ring. At Devon she won Best Hunter Breeding Yearling and Reserve Best Young Horse, at Upperville she took Best Yearling Filly, and at Warrenton she won Best Yearling Filly and Best Yearling Filly for the Sallie B. Wheeler. She was also the High Scoring German Oldenburg at the 2013 Sallie B. Wheeler finals. We look forward to an exciting career under saddle in her future. 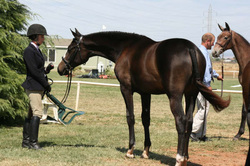 Rappaport was Best Young Horse at the International Hunter Futurity 2012. USDF Horse of the Year 2004 Fillies! 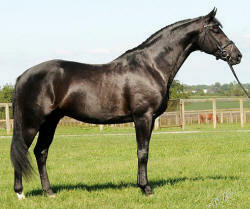 "Rafael" licensed RPSI stallion by Rosenthal. 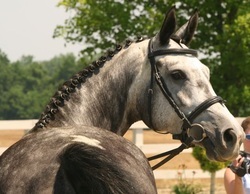 - REINER K 2004 USDF Horse of the Year colts of 2004! 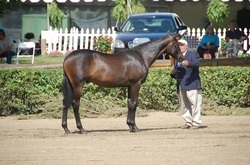 Congratulations to Terry Smith owner/breeder of Reiner K by Rosenthal out her Hanoverian mare Fiona . - RUMORS USDF Horse of the Year 2004 fillies! (Photo a leftt) By Rosenthal out of SPS Pijou by Parabol won the fillies of 2004 with a score of 85.5% giving her the highest score in the open classes at Dressage at Devon earning the Breeders Award " Born in the USA" GRAND CHAMPION. Rumors was also the high scoring German Oldenburg. Congratulations to Veronique Mallet on the purchase of this lovely filly. - RHIANNAN 4th place Horse of the Year fillies of 04 1st place Morven Park. - " Rosentanz " highest scoring Oldenburg in 2006! Rosentanz, a 2004 black filly by Rosenthal/Wolkentanz, owned by Jackie Nixon-Fulton, had a fantastic year showing in hand with wins at Lexington, Morven Park and an impressive third place at Devon. Her average for the year was 80.850, the highest average of all age groups. The next highest average score of 78.575 was earned by Hallelujah owned by Stacy Jones. " Halley" was imported by High Point in 2002.